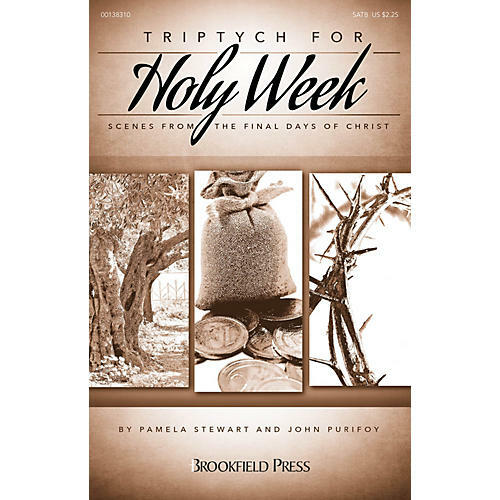 Uses: Holy Week, Maundy Thursday, Good Friday Scripture: Mark 14:43-50; Luke 22:39-46; John 19:16-30 This trio of choral tone poems is a very different option for Tenebrae observances or other contemplative services. These masterful miniatures represent three tableaus of the passion: the Garden, the Betrayal and the Crucifixion. Highly evocative imagery characterizes the lyrics, and the music responds with episodes of exquisite beauty and subtle tonal coloring. The movements are joined together by common motivic material, but they can also stand on their own for a progressive presentation throughout Holy Week. Singular!